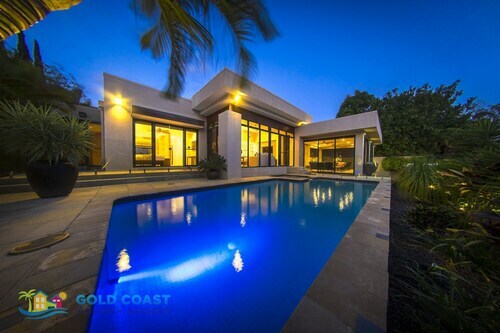 Nestled at the northern end of the spectacular Gold Coast, Hope Island is a modern, classy and beautiful spot for your next holiday. With Sanctuary Cove a resort-style master-planned community set inside it, both offer an elegant mix of waterside dining, boutique shops and world-class golf. Wot more could you want? Take a look at our range of Sanctuary Cove accommodation and Hope Island hotels today. Residential living on Hope Island has only existed for about 15 years, but it’s considered a very prestigious place to live. Proof lies in the streets graced with million dollar homes touting canal-front views. Just because it’s an island doesn’t mean it’s a secluded one though. Hope Island is surrounded by the mainland and other islands, including the Southern Moreton Bay Islands. The lovely Coomera River wraps around it on one side and Saltwater Creek on the other, with the Hope Island Canal trickling straight through the middle. All this water means that there are lots of little inlets, giving the island its interesting shape! It also means there are a number of marinas housing lots of fancy boats. The marinas are a hub of activity whether you have a boat or are still dreaming about owning one. The Hope Island Marina has a range of fantastic restaurants, everyday shops and a spa. The Marine Village at Sanctuary Cove also has great cafes, restaurants and bars, as well as boutique shops with antiques, jewellery and designer labels. Every May the village is packed with boat enthusiasts for the Sanctuary Cove International Boat Show which has everything from on-water demonstrations to information sessions and a fashion parade for the ladies. If you prefer dry land and the greenery of golf, then you will absolutely love staying here! Hope Island is home to a number of premier championship courses with fantastic scenery. Five-time British Open champion Peter Thomson and his architecture firm designed the 18-hole championship course at Hope Island Resort. Connected by three different bridges to the mainland, Hope Island is a piece of heaven with all the convenience of being close to the Gold Coast! Take the 25 minute drive to the centre of the action at Surfers Paradise, wind through the beautiful hinterlands behind the coast, or pack out your day at one of the Gold Coast’s four major theme parks – Dream World, Movie World and Wet’n’Wild are just 10 minutes away. If you want to shop, shop, shop, Harbour Town Shopping Centre is just 10 minutes away and full of every style, shape and cut that you could possibly fit in your suitcase. To get here, Hope Island is just 40 minutes south of Brisbane and 40 minutes north of Coolangatta, which is at the southern end of the Gold Coast. There are no public transport connections to Hope Island so it’s best to drive, but train stations are still just 10 minutes away. 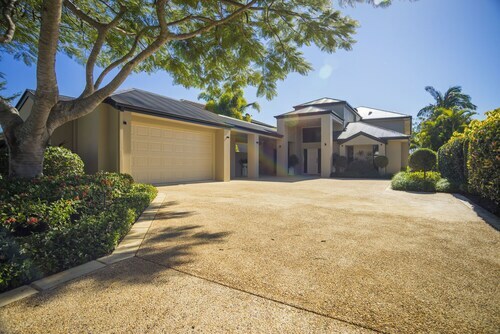 With premier golf courses, beautiful marinas, and a sense of luxury living amongst the elite of the Gold Coast, who wouldn’t want to feel a part of the exclusive Hope Island and Sanctuary Cove life? Browse our Hope Island accommodation options below, including a range of Sanctuary Cove hotels, resorts and villas. How Much is a Hotel Room in Sanctuary Cove? 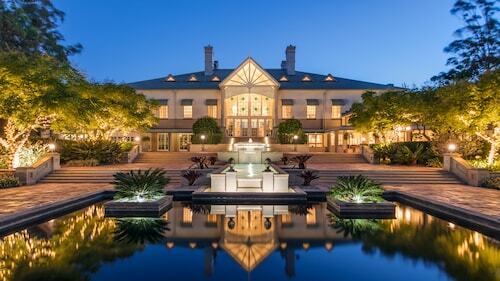 Hotels in Sanctuary Cove start at AU$165 per night. Prices and availability subject to change. Additional terms may apply. Great property for a family holiday. Well equipped, excellent location. The house itself was very good but lacked a few essentials. For example it says it sleeps 8 but not enough utensils for 8 people eg it only had 5 forks. It had no electric frying pan which should be a must with family's staying. We have now provided one for people that stay next. Also for 4 toilets in the house there was only 1 roll in each toilet.We were there for 10days!! Also the ducted in the guest room didn't seem to work. Besides missing some basics especially in the kitchen we loved the house and would definitely stay there again. The Golf buggy was a great extra but after taking it for a big drive the battery light was flashing. We placed it on charge over night but it didn't seem to charge properly.